I nearly forgot that I am participating in a Christmas blogshare! Good grief! You can check it all out by clicking on the button below! As we get ready for Christmas we, as a family, try very hard to emphasize the importance of the celebration of the birth of Jesus, our Lord and Savior. This starts at the beginning of the month with an observance of Advent, focusing on the joyful anticipation of his coming. Quite a few years ago I decided to create a countdown chart that would ultimately focus on this true meaning of Christmas. I originally saw this idea on a Christmas card and decided to incorporate it into our celebration. Okay, so everyone knows that Christmas is wonderful. I love it. It's my favorite holiday. I love the music, the snow, the lights, the traditions, the food, the presents, the love, the family, but especially....THE EGGNOG!!! I am very picky about my eggnog. Seriously. It has to be just so, or I refuse to drink it. I can't have the stuff that they sell in the stores, because it is so thick that it could stop a bathtub drain in it's tracks. I know that there are others out there who feel the same way, and simply refuse to drink it. I actually won't drink it alone, unless I seriously thin it down. But, I am also a bartender and because of this, I present to you, A Southern Christmas. Don't be scared...we're gonna talk about how to make the perfect Christmas Eggnog, but with a vodkaandmotherhood twist. Sorry, I don't seem to have the teaser for it so you'll just have to head over there and check it out! Enjoy reading all the ideas/traditions/etc. and look for mine on December 11th! Where's the recipe for thinned down vodk-y eggnog? I too have never had eggnog, but yours looks soooo delicious I actually pinned it onto Pinterest. Will be checking out that recipe! Desiree-I've never tried her recipe either but then, I'm not an eggnog fan. However, Paula Deen has a recipe, I think it's called Mama's eggnog, that is to DIE FOR! Betty- I've had it but have never liked it and I've never tried the recipe in the blogshare. But it sounds good. Look up that Paula Deen one. It is fantastic! I have never, ever tasted Southern Comfort. I know: what a sheltered life! But this could be the season. That eggnog sounds so much nicer than the store bought stuff. Now that looks like the perfect EggNog to me! I have never had homemade eggnog so all I know is the thick store stuff but I love it! It's in my fridge right now. What a fun idea - I love it!! Eva- We don't usually have it at our house over the holidays. I much prefer Bailey's Irish Creme and my Christmas champagne punch! 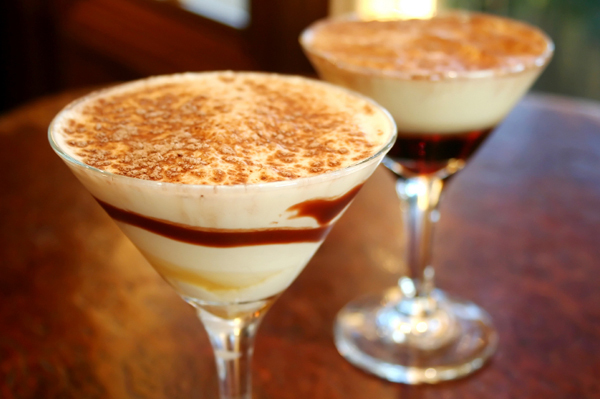 Your Christmas drink sounds divine! MDSA- Not sure I'm digging it so far but we'll see! I have never tried eggnog in any form, we just don't have it here, it's a very American thing I think. Eggnog has always seemed pretty scary to me. I prefer my eggs hard boiled. Eggnog just does not turn my crank at all but my daddy loves it, I just might have to try your recipe and see what he thinks. Advent calendars are such a wonderful way for the kids to understand things better. I love eggnogg, but can only drink a small glass since its so rich. I will check out your recipe...enjoy this season of advent! Can you believe that I've never tasted eggnog! I obviously haven't lived. I'm wondering if it's similar to what we over here call a Snowball, which is made with Warnink's Advocaat. Hope you're having a lovely weekend. Julie- The lovelies like it but not me. We made advent calendars when the lovelies were little but not anymore. Thanks! Joyce- I prefer my Bailey's Irish cream! LOL Thanks, you too! Diane- I'm not sure about that. I have only tasted eggnog about 4 times in my life. There is one recipe, by Paula Deen, that I don't mind but it has to be very cold or it tastes yucky!